Hey everybody! I've just got a quick share for today. This card is quick and easy and is actually a stepped down card from something I made a while back. Honestly, I made this a while back too and never got around to sharing it. Whoops! A while back I did a tutorial for a technique called "Ink Smooshing." You can check out that tutorial here. It's a fun and easy technique but perhaps not something you want to try if you're in a hurry and need a card on the double. So, I decided to see if I could recreate my card technique card using DSP... Wouldn't ya know, it worked out pretty well. The card on the left has a background that was created with the Ink Smooshing Technique. 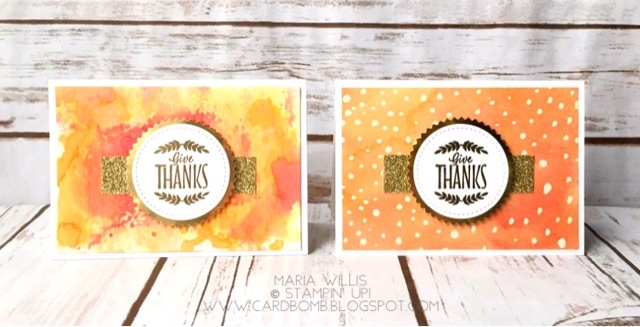 The card on the right uses the Painted Autumn DSP as a background piece. 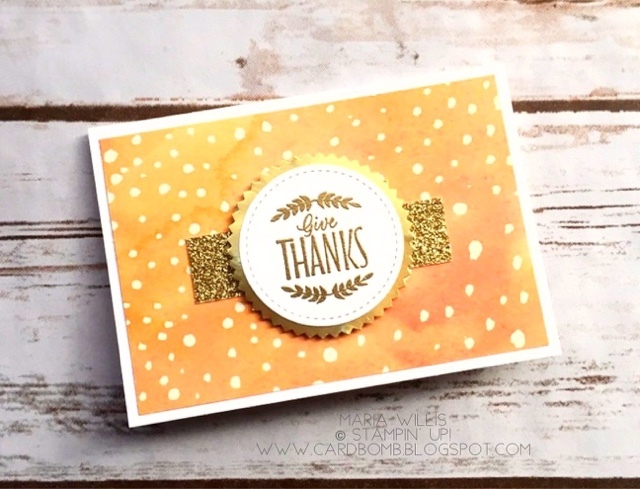 The sentiment that I used (heat embossed in gold) is from the Labels to Love stamp set. I also used the Starburst Punch with Gold Foil and added a strip of Gold Glimmer Paper for a little extra flair. So, the next time you're looking for an easy Thank You card, look no further. Ok, I've got a gigantic task list for today so I am outta here. Have an amazing day you all and I'll see you back here soon.